Cape Town - Eskom favoured contracts with Gupta-linked Tegeta when coal mining company Exxaro's deals would have been more cost effective, the Eskom inquiry has heard. Testifying before the portfolio committee on public enterprises when the inquiry resumed on Wednesday afternoon, Exxaro CEO Mxolisi Mgojo explained how the state power utility "pushed out" the company from coal supply and contracted “third parties” at a considerably higher cost to the fiscus. 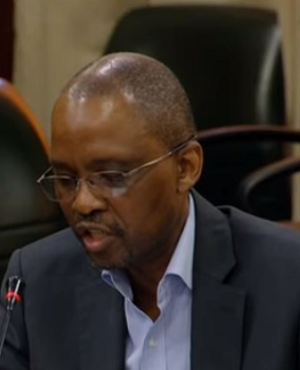 During his testimony, Mgojo explained how Eskom had delayed agreements with Exxaro while striking deals with Tegeta. During questioning Advocate Ntuthuzelo Vanara asked Mgojo who the “third parties” were. “From the deliberations of the committee and from presentations here, it seemingly was Tegeta that benefited,” Mgojo responded. He explained that both Mafube mine and the Arnot mine, which both supplied Arnot Power Station, “suddenly lost their contracts” to Optimum Coal Mine, which belonged to Tegeta. “On that basis I can only conclude that Tegeta was the net benefit,” he said. When asked by committee member Natasha Mazzone if there was an attempt to capture SA's mining industry to benefit the interests of the Gupta family, Mgojo said his answer is "definitely yes". "It is without doubt in my mind that if I say that has not happened, I would be lying to myself. I would not be true to myself. I would not be recognizing the situation out country finds itself in. "I am one of those saying this has to come to an end. South Africa deserves better," he said. During his testimony, Mgojo explained how Eskom terminated the contracts with several mines and how it eventually led to the closure of Arnot mine. Exxaro and Eskom met on August 13, 2013 to discuss a disagreement about the end date for the coal supply agreement. “The intention was to agree on an outcome that would benefit both parties and optimise the unit cost of production at Arnot,” he said. Up until end March 2015, Exxaro was still engaging in good faith with Eskom, said Mgojo. From April 2015, “everything changed” he said. In September 2015, Eskom issued a notice to Exxaro indicating it would terminate its contract in December 2015. “This stance was surprising given Eskom’s previous stance that the CSA (coal supply agreement) expired in 2023 and that Eskom was engaging with Exxaro in terms of a memorandum of understanding,” Mgojo said during his testimony. Exxaro tried to engage with then-CEO Brian Molefe on the matter, but he never acceded to their requests to meet. Arnot was on the brink of closure. Mineral Resources Minister Mosebenzi Zwane was approached to intervene, but never did. “People had to lose their jobs,” said Mgojo. He said it was the “biggest pain” as CEO to have to tell 1 500 workers that the mine would have to close, despite there being coal in the ground that could still be mined. Mafube mine, is a 50-50 joint venture between Anglo Operations and Exxaro Coal Mine in Mpumalanga. The mine, like Arnot mine, was strategically located to have coal delivered to Arnot power station via conveyor belt. “The Mafube mine charged the lowest price for coal delivered to Eskom in the country and could, critically, provide the power station with security of coal supply until the mine’s reserves are exhausted,” he said. However Eskom had terminated the coal supply agreement in 2015, in favour of third parties, he explained. Vanara asked Mgojo to read out a letter from Eskom to the DMR requesting the department to expedite the licencing for Optimum Coal Mine in 2015, given the coal supply crisis it was facing. Of this Mgojo said that in his experience getting a licence to mine usually takes three years, but the coal crisis described by Eskom necessitated the expedition. Vanara asked if the cancellation of contracts (for Arnot and Mafube) then led to a “self-created” crisis for Eskom. “What I can say chair and you can also draw your conclusions to this. There were parties who were willing, there was coal available, there were people capable of producing coal and engagements beyond December 2015 were being pursued for Arnot,” said Mgojo. In the same vein the contract for Mafube mine, which was producing the cheapest coal in Mpumulanga for Eskom, was to be terminated in December 2015 too. This despite there being a willingness to continue supply up until 2018, through a joint venture with Anglo Operations, said Mgojo. “So you have two mines, previously supplying coal and both willing to [continue to] supply coal and both told to terminate at the same date,” he said.